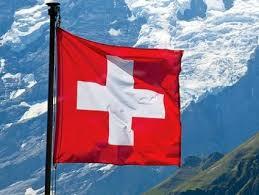 Yes, Swiss National Day is on 1 August – no other day! Swiss National Day (German: Schweizer Bundesfeier; French: Fête nationale Suisse; Italian: Festa nazionale svizzera; Romansh: Fiasta naziunala Svizra) is the national holiday of Switzerland and is set on 1 August. 1 August is an official national holiday since 1994, although the day had been suggested for the celebration of the foundation of the Swiss Confederacy as early as 1889. The Swiss Club of Victoria always celebrates Swiss National day on 1 August. 2015 is no difference, only this year, it is a Saturday and a weekend thus we can have all day to celebrate. 2015 we are organizing a SWISS NATIONAL DAY FESTIVAL from 1.30 am till late in and around the Swiss Club in the heart of Melbourne. Come along for a day of Swissness with Swiss Food and Drink, Swiss Music, Culture and Traditions. On the Second Floor: Art & Craft Exhibition featuring an exhibition of Swiss National Costumes, Swiss Folk Art Painting, Nyon Porcelain Painting, and Swiss Handy craft. We also showcase two well known Swiss artists, painters, illustrators and sculptors: Hans Erni (1909-2015) and HR Giger (1940-2014). Club Restaurant: “Festwirtschaft” – all your favourite Swiss Food, Wine & Beer and of course Rivella! See you on Swiss National Day, Saturday, 1 August – where else than the Swiss Club of Victoria! Swiss who celebrate Switzerland’s National day wherever they are in the world, are very familiar with the Pro Patria 1st August badge. They are an important part of National day celebrations and are being worn by many Swiss with great pride. Collecting the badges is also quite popular among Swiss with many people having started in their childhood to collect them. Schweizerische Stiftung PRO PATRIA, is a Swiss patriotic and charitable organization. Its purpose is to give meaning to the Swiss National Holiday by collecting donations for the benefit of social and cultural works of national and public interest. The 1st August ‘Abzeichen” (badge) have been produced by Pro Patria since 1923 with the support of the Federal Department of Foreign Affairs (FDFA). The Swiss National Day Celebration Committee was founded in 1909 and renamed Pro Patria in 1991. Enjoy a scroll through the Pro Patria Badges Gallery. The badges all have “names” and are often produced in sheltered workshops. Looking at the various badges over the past ten decades, they also quite well reflect the Zeitgeist of each period. All for one, one for all has been a guiding principal for Swiss and until well beyond the Second World War collections were done for the benefit of vulnerable groups and minorities. During the two world wars, the collections held in 1916, 1918, 1929, 140 were in support of Swiss soldiers at the border. As recently as 1968 the revenue was intended for our soldiers and their families. Many important charitable organizations were once dependent on funding from the Pro Patria 1st August badge; a total of eleven collections (1912, 1917, 1937, 1944, 1950, 1957, 1963, 1969, 1975, 1981 and 1987) were for the benefit of the Red Cross. The funds were intended for selected domestic tasks such as the promotion of nursing. An important support was also given to mothers (Mütterhilfe) well into the 1990s. ‘For mothers in need’ (für Mütter in Notlagen) as was the official name, collections were done in 1939, 1945, 1951, 1958, 1966, 1974, 1980 and 1985. The cantons launched Pro Patria Mütterhilfe committees, which were responsible for the distribution of the funds. For many decades, there was also close cooperation with various Swiss women’s organizations, receiving funds from the collections of 1956, 1970, 1979, 1989 and 1995. With the increase of public and private social institutions, the focus of the collections gradually shifted to topics related to nature preservation as well as to history and preservation of historic buildings and monuments. The “Fifth Switzerland” was also not forgotten. The collections of 1924, 1938 1953, 1959, 1965, 1972, 1978 and 1984 were dedicated to the Swiss Abroad and the Swiss Abroad Secretariat of the New Helvetic Society NHG. This year, the 1st August 2014 pin badge is again dedicated to the Swiss Abroad. It is called “Verbundenheit mit der Heimat’ (Solidarity or closeness with the homeland). It is in the shape of a map of the world and illustrates the presence of of Swiss citizens across the globe. Some of the proceeds from Pro Patria’s 2014 collection will therefore go towards young Swiss abroad. Many young Swiss abroad find it difficult to pursue educational opportunities or to enter a professional career. The Organisation of the Swiss Abroad (OSA), its Youth Service, the Foundation for Young Swiss Abroad (FYSA) and education Suisse seek to enable these young people who experience financial difficulties to take part in social and sustainable projects. From 2015, the money raised from the sale of Pro Patria stamps and 1 August pin badges will contribute to the funding of the projects of these organisations over the next five years. You can get the 2014 pin badge, where else than the Swiss Club. Come down to the club, get your pin thus support an important Swiss institution and wear your Swiss badge with pride when celebrating Swiss National Day 2014!